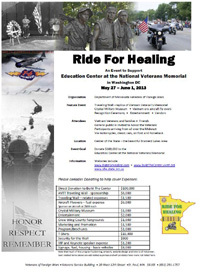 Thank you for considering sponsorship of the Ride for Healing event to raise money for the Vietnam Memorial Build the Center fund. 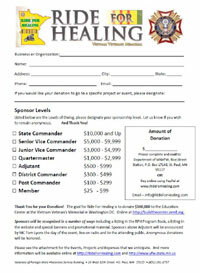 There are many opportunities for sponsoring the Event, if you have any questions, please fill out this form. 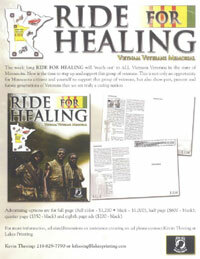 Online payment is also available using PayPal, on our Donation page. 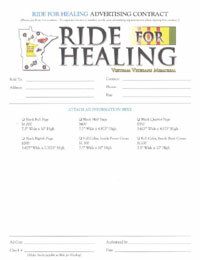 Click on image to View and Print form. 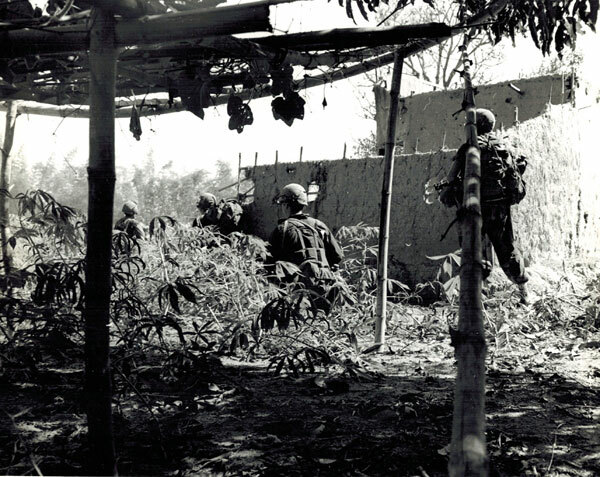 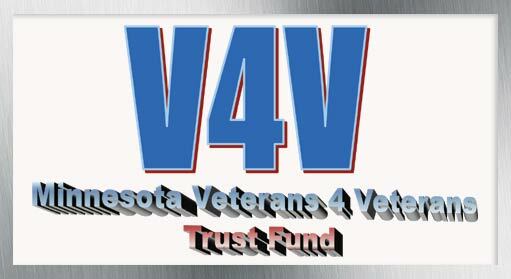 The Department of Minnesota Veterans of Foreign Wars Charitable Association (VFW Charitable Association) is a Non-Profit Organization under 501-c-3 of the Internal Revenue Service Code.